The JTYAF VIP Hospitality Day at the Bournemouth Air Festival 2014, was a resounding success. 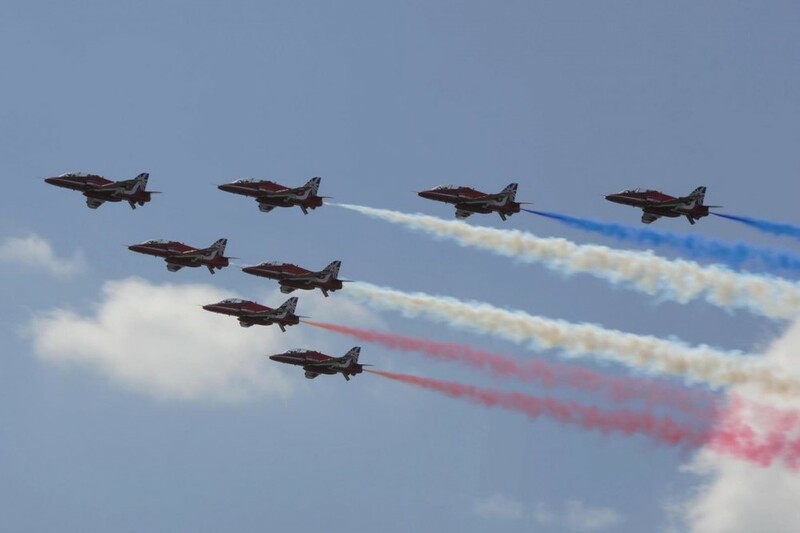 Our guests enjoyed a fantastic flying programme from the exclusive VIP Hospitality Marquee situated on the beach right at the epicentre of the air and ground displays. With superb food, by the award-winning Gideon Hitchin and wall to wall sunshine it was certainly a day to remember. An incredible £13,500 was raised on the day and we would like to extend our thanks to all our guests and supporters for their kindness and generosity. We received a wonderful selection of prints and paintings which were donated by local artists, organisations and individuals and these formed the basis of our Silent Auction. The Silent Auction alone raised almost £6000 but we must also thank the numerous local businesses and individuals who donated prizes for our raffle. Four lovely volunteers from Barclays worked extremely hard at the event, meeting and greeting, selling raffle tickets and organising the Silent Auction. We are extremely grateful to Liz Marsh, Nina Selvey, Di Trott and Ambia Choudhury (pictured left) for all their help. A huge thank you to Barclays too for their generous contribution to the total raised by their matched funding scheme! Our guests enjoyed meeting some of the display teams and we would like to thank them all for taking valuable time out of their busy schedules to come and join us in the marquee. All in all this event was one of our most successful events to date and special thanks must go to JTYAF Trustee, Maurice Patterson, for his continued commitment and support as without him this wonderful event wouldn't happen.